With Halloween and half term approaching have you thought about where your headed for some fun activities and light entertainment for all of the family or even camping this year? Well my two have been on and on about going to some sort of Halloween event where they can dress up and get all spooky and a little bit scared! Whether its pumpkin picking, your friends Halloween party or a local event it definitely worth getting all the family involved just to feel that little bit festive! I have listed a few local events going on around the South that are definitely worth sharing. 1- Theres a fun and free event going on at the Aruba bar on 31st in Bournemouth situated right on the beach.They are offering free activities and face painting for children. 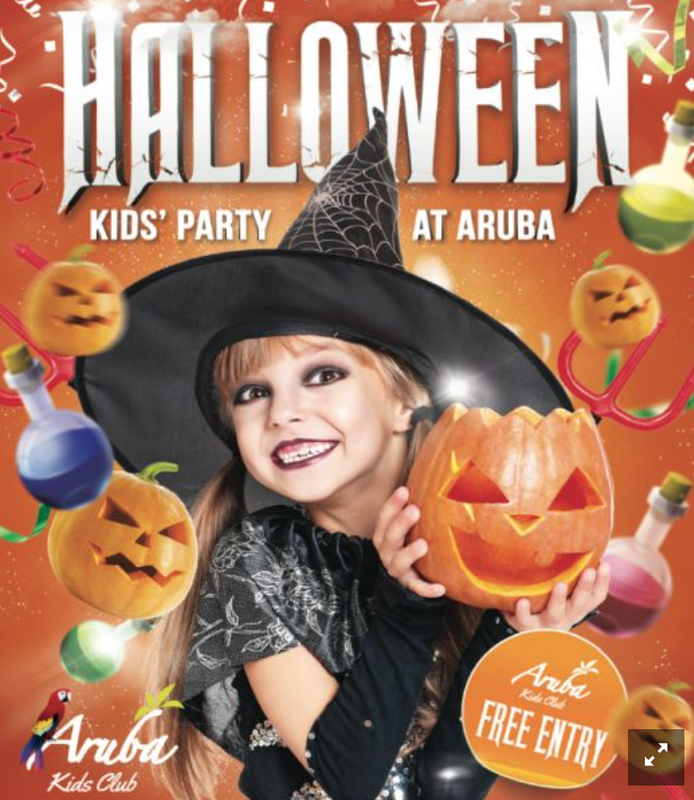 As well as teaming up with the Minky Moo's for a fabulously spooky party! The sessions run at 12pm, 1pm & 2pm. You could even stay for a bite to eat in their restaurant to! 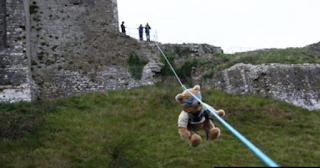 2- Find ghosts and pumpkins on Corfe Castle's Halloween Quest from October 24th- 1st November. Theres a Teddy zip wire challenge, bring along your favourite brave bear to have a go! Have a spooky yet educational walk through the castle as well as listening to some spooky story telling! Great for all ages. 3- If you looking for a right fright Dorchester have a Ghost Walk for all the family on the 31st its a Halloween special Alistair Chisholm (Town Crier) and Chris Gallarus (both Blue Badge Guides) will tiptoe you through alleys and down by the river at 8pm. Adults £6 Children £3. 4- If you looking for a full family day out with a bit of spookiness throughout your day why not head to Adventure wonderland. 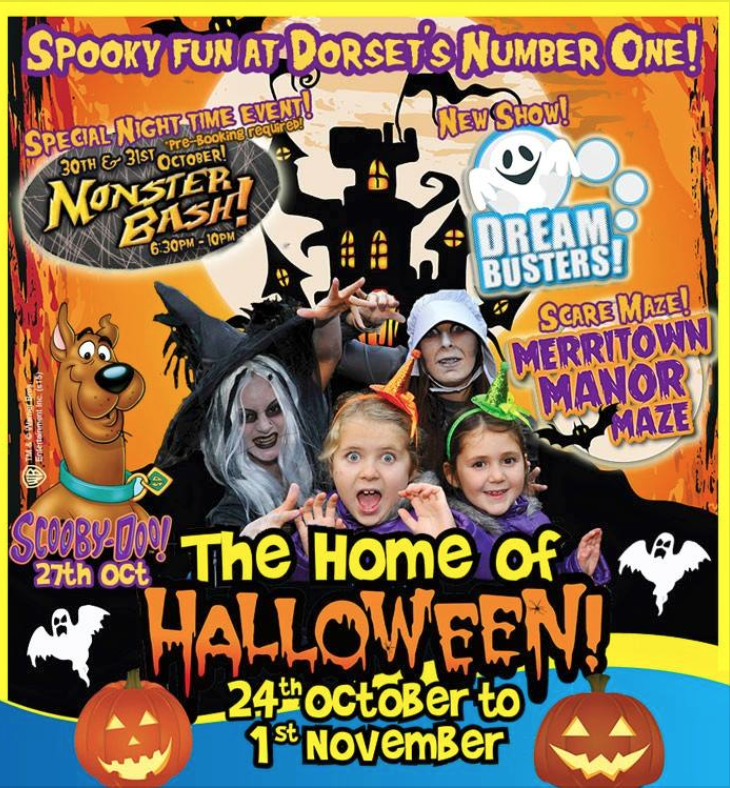 Its packed full of fantastic rides with added frightening fun hosting a brand new show called the Dream Busters, creep through the Scare Maze or even meet with Scooby Doo and the gang on 27th. 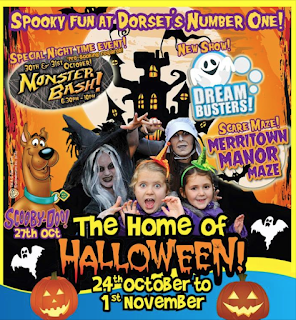 Theres even the return of the night time Monster Bash on the 30th-31st from 6.30pm - 10pm and was totally sold out last year, with competitions and games.. just don't forget your torch! 5- If you looking for something slightly more low key why not check out Sopley Farm for some Pumpkin picking this is a personal favourite place of ours where we like to come every year to pick lots of diffenret fruit and veggies. Pumpkins are definitely on the list at Sopley in all shapes and sizes. 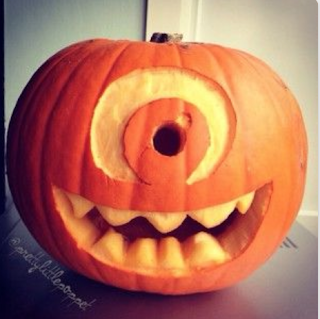 Then head over to Pinterest to pick out some creepy designs and have a pumpkin carving contest! The Caravan Company. What will you be getting up to this Halloween?